“It came out quite busy” Perhaps bear was trying to tell you something. 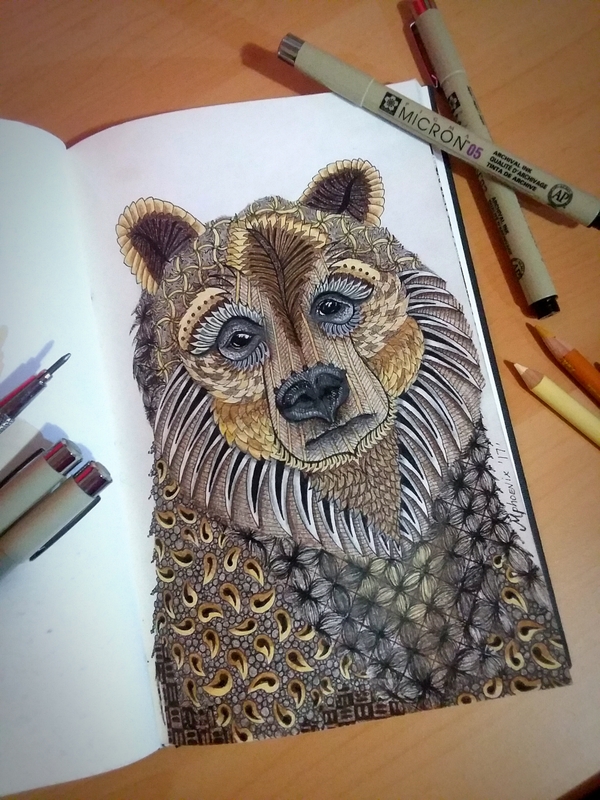 You captured the message of bear very well in the face, especially the eyes. Going inward, a solemnness, with a hint of sadness. Thank you! I am happy with how the face came out. Eyes have always been my favorite to draw, as you know. 😘 Bears do have a gentleness in their eyes, perhaps that’s what compels me to want to hug them!